Every time a new Mysteries of Max book is released I pretty much have to drop everything to read it. 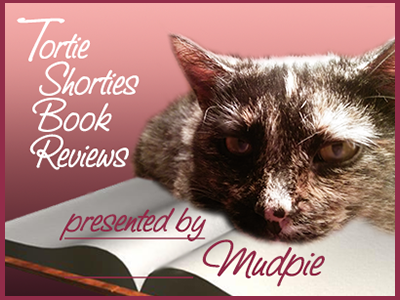 This is a cat cozy series that just keeps getting better and better as its feline characters get cuter and cuter. 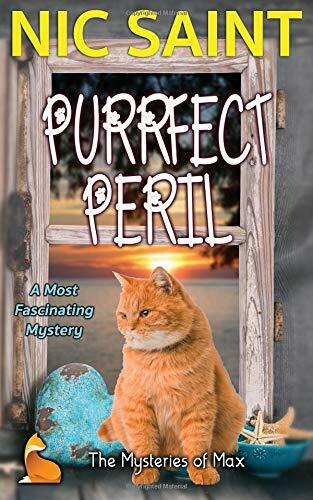 The mysteries are always fun and not overly complicated, but it's the mini soap opera of the cats' lives that steals the show. I've come to love Max, Dooley, Harriet and Brutus more than words can say. In Purrfect Peril the fearless foursome are forced to deal with a flea infestation (leading sweet, innocent Dooley to once again be convinced he's going to die), Brutus and Harriet's steamy love life faces a crisis (leading to hilarious moments when the other cats get into his "vitamins"), and everyone worries about what will happen when Odelia's boyfriend Chase talks about moving in, and then zany Grandma Muffin actually does! Oh, and did I mention there's a murder too? Needless to say, the cats have their paws full this time around and it will take more teamwork than ever before to ensure everything turns out right in the end. Sounds like an interesting book! I haven't read any in this series - I wonder if I should start with the first one or if I can just jump into it with this one? We are not familiar with this series, so it is good to know it is worth checking out. Thanks, Melissa and Mudpie. This sounds like so much fun! Think I'll put this on my 'tbr' list! This sounds like such a fun read! I'm eager to read this entire series. Happy reading! Thanks for sharing your wonderful review, Mudpie and Melissa. I was looking for a new book to pick after I just finished my last one on Saturday night. Sounds like a fun read. Will have to pick one up. Hope your weekend was wonderful. That sounds great. We know the evil of a flea infestation 4 years ago.